Party Princess Birthday Shirts for baby girls and toddler girls. 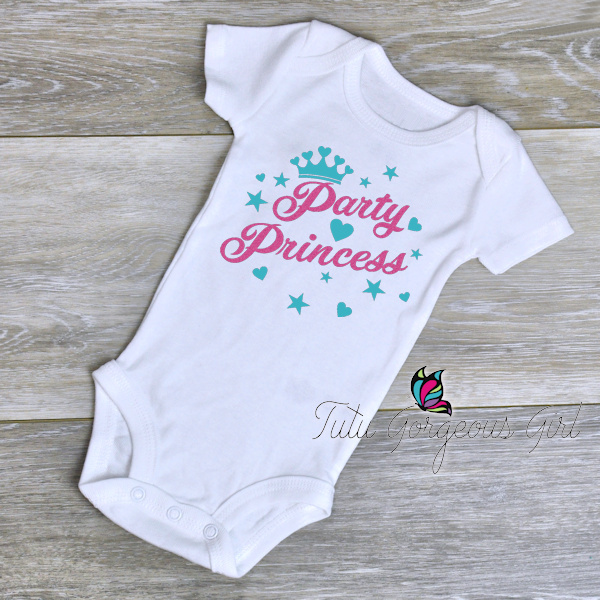 Girls's first birthday Party Princess bodysuit with sparkle pink and turquoise decal, or your choice of colors. Perfect for a first or second birthday outfit, cake smash outfit, or birthday gift. If you would like to change the colors please click on the link "Decal Color Chart" and let us know in your order notes which color(s) you would like.